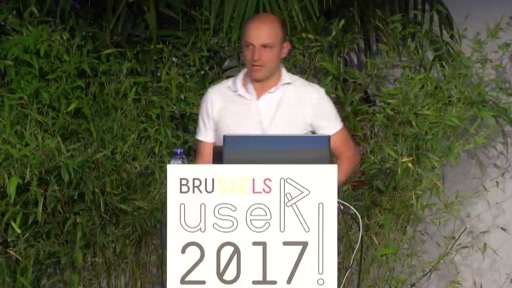 R is increasingly used to teach programming, quantitative analytics, and reproducible research practices. Based on our combined experience from universities, research institutes, and the public sector, we summarize key ingredients for teaching of modern data science. Learning to program has already been greatly facilitated by initiatives such as Data Carpentry and Software Carpentry, and educational resources have been developed by the users, including domain specific tutorial collections and training materials (Kamvar et al. 2017; Lahti et al. 2017; Afanador-Llach et al. 2017). 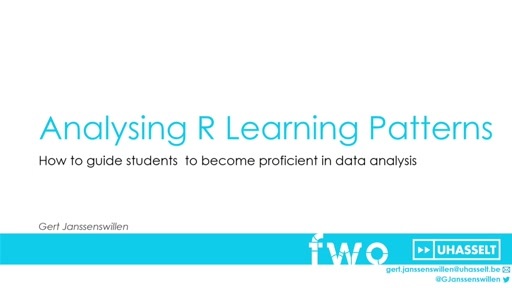 An essential pedagogical feature of R is that it enables a problem-centered, interactive learning approach. Even programming-naive learners can, in our experience, rapidly adopt practical skills by analyzing topical example data sets supported by ready-made Rmarkdown templates; these can provide an immediate starting point to expose the learners to some of the key tools and best practices (Wilson et al. 2016). However, many aspects of learning R are still better appreciated by advanced users; such as harnessing the full potential of open collaboration model by joint development of custom R packages, report templates, shiny-modules, or database functions that enables rapid development of solutions catering specific practical needs. Indeed, at all levels of learning, getting things done fast, appears to be an essential component for successful learning as it provides instant rewards and helps to put the acquired skills into immediate use. The diverse needs of different application domains pose a great challenge for crafting common guidelines and materials, however. Leveraging the existing experience within the learning community can greatly support the learning process as it helps to ensure the domain specificity and relevance of the teaching experience. This can actively promoted by peer support and knowledge sharing; some ways to achieve this include code review, show-and-tell culture, informal meetings, online channels (e.g. Slack, IRC, Facebook) and hackathons. Last but not least, having fun throughout the learning process is essential; gamification of assignments with real-time rankings or custom functions performing non-statistical operations like emailing gif images can raise awareness of how R as a full-fledged programming language differs from proprietary statistical packages. In order to meet these demands, we designed specific open infrastructure to support learning in R. Our infrastructure gathers a set of modules to construct domain spesific assignments for various phases of data analysis. The assignments are coupled with automated evaluation and scoring routines that provide instant feedback during learning. In this talk, we introduce these R-based teaching tools and summarize our practical experiences on the various pedagogical aspects, opportunities, and challenges of community-based learning and knowledge sharing enabled by the R ecosystem. References Afanador-Llach, Maria José, Antonio Rojas Castro, Adam Crymble, Víctor Gayol, Fred Gibbs, Caleb McDaniel, Ian Milligan, Amanda Visconti, and Jeri Wieringa. 2017. "The Programming Historian. Second Edition." http://programminghistorian.org/. Kamvar, Zhian N., Margarita M. López-Uribe, Simone Coughlan, Niklaus J. Grünwald, Hilmar Lapp, and Stéphanie Manel. 2017. "Developing Educational Resources for Population Genetics in R: An Open and Collaborative Approach." Molecular Ecology Resources 17 (1): 120–28. doi:10.1111/1755-0998.12558. Lahti, Leo, Sudarshan Shetty, Tineka Blake, and Jarkko Salojarvi. 2017. "Microbiome R Package." http://microbiome.github.io/microbiome. Wilson, Greg, Jenny Bryan, Karen Cranston, Justin Kitzes, Lex Nederbragt, and Tracy Teal. 2016. "Good Enough Practices for Scientific Computing," 1–30.